TED talks is all about ideas that are inspiring and worth spreading. What else can be a better event than TEDxHyderabad team coming together at Raahgiri Day, Hyderabad to meet all Raahigirian's. Be there this Sunday with your family and friends !! Balloons, Colours, Games and Kids..... 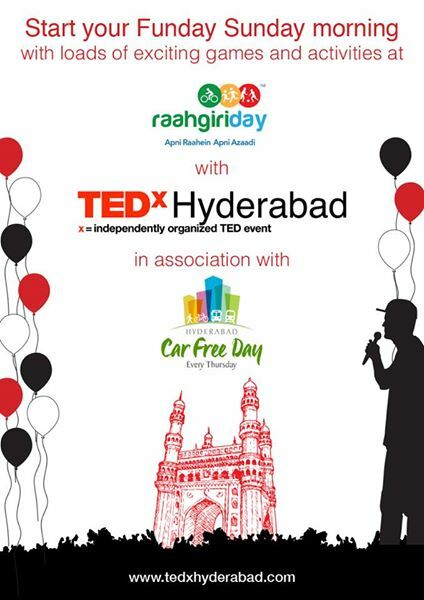 This week Raahgiri Day will be really special with TEDxHyderabad. Be there to have unlimited fun! !